While hard rock and metal outfits have generally been more associated with Halloween than Christmas, the last 10 or 15 years have seen quite a few rockers getting into the Christmas spirit. In truth, the results haven’t always been that great, but the efforts have brought a few gems. For this list, I’ve tossed out the goof songs like Spinal Tap’s “Christmas with the Devil” or Bob Rivers’ “I Am Santa Claus,” set to the tune of Black Sabbath’s “Iron Man.” I’m looking for tunes that show a little reverence and joy in the season rather than going for laughs. So, here’s the list of 10 songs I’ve come up with. Feel free to add your own. 9. “Run Rudolph Run,” Lemmy Kilmister, Billy Gibbons, Dave Grohl. Chuck Berry’s version of this song is one of my favorite holiday tunes, and, from Brian Setzer to Lynyrd Skynyrd, I’ve never heard a version I didn’t like. The combination of three most unlikely musicians on this version easily puts it on my list. 8. “Blue Christmas,” Joe Perry. The Aerosmith guitarists twangy take on the Elvis classic is one of the more memorable moments of the first “Merry Axemas” collection. 7. “We Three Kings,” Halford. 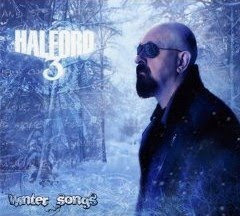 This song is easily the strongest moment on Rob Halford’s “Winter Songs” record. It’s an upbeat, rocking version of the song with an undeniable melody courtesy of the original. 6. “The Little Drummer Boy,” Doug Pinnick, George Lynch, Billy Sheehan, Simon Phillips. Four hard-rockers team up for a very soulful version, and King’s X frontman Pinnick’s vocals are perfect for the tune. 5. “You’re a Mean One, Mr. Grinch,” Gary Hoey. “How the Grinch Stole Christmas” has always been one of my favorite holiday stories, and the Thurl Ravenscroft original one of my favorite songs. Hoey’s instrumental version really puts the mean into it, though. 4. “Santa Claus is Back in Town,” Tim “Ripper” Owens, Steve Morse, Marco Mendoza, Vinny Appice. Another favorite rock Christmas song given the hard rock treatment. Owens’ vocals really shine on this tune and give it its attitude. 3. “White Christmas,” Zakk Wylde. The flashy guitar hero Wylde has always been a very underrated acoustic player, and this earthy version of the song is one of his better soft moments. 2. “God Rest ye Merry Gentlemen,” Ronnie James Dio, Tony Iommi, Rudy Sarzo, Simon Wright. It took Dio until his mid-60s to be convinced to do a Christmas song by his wife, and it was worth the wait. He and Iommi deliver a dark, dirge-like version of the song suitable for any Black Sabbath record, but retain the reverence of the original. 1. 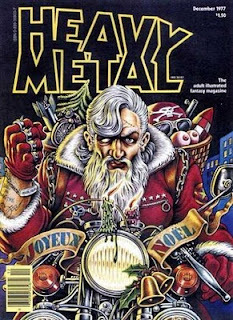 “Christmas Eve (Sarajevo 12/24),” Savatage. I said I wouldn’t include Trans-Siberian Orchestra, and I didn’t … technically. The song was recorded by Savatage for their “Dead Winter Dead” record, a year before Savatage producer Paul O’Neill and frontman Jon Oliva repurposed it for TSO’s debut record “Christmas Eve and Other Stories.” In my mind, it’s the ultimate Christmas tune recorded by a metal band. A Christmas record from Rob Halford? Yes, that Rob Halford. The leather-clad screaming frontman of Judas Priest. Let’s just say that the third record with his eponymous Halford side project, “Winter Songs,” is … well, just a little different from the first two. It doesn’t start out that way. The first single and opening track “Get Into the Spirit” is very much in the vein of Halford. There are, perhaps, some holiday-flavored lyrics, but the song is a roaring metal tune with Halford showing off his upper ranges, as usual. It’s not a bad song, but not very Christmassy either. From there, we get a mix of classic carols and original numbers that do ring a little more of the season. One of the better songs on the record is the cover of “We Three Kings.” It’s an upbeat and rocking take on the song with just a little bit of the mystical. It’s by far my favorite on the record and is the only one here that will make my top 10 list of the best hard-rocking Christmas songs (coming tomorrow). But there are some almost equally entertaining numbers. “Oh Come, O Come Emanuel” features a nice, galloping guitar riff, but doesn’t work quite as well as “We Three Kings.” “Christmas for Everyone” and “I Don’t Care” are interesting in their old-school 1970s hard rock feel. The first reminds me a bit of classic Alice Cooper, without the creepiness, the second is less of a Christmas song and more of a rock ‘n’ roll song that just happens to be set around Christmas. Both are a lot of fun. Halford also shows a surprisingly soft side on this record. He gives a very traditional treatment to “What Child is This?” It’s actually quite impressive and shows there’s more to Halford than a high-pitched howl. “Light of the World” shows off some Beatles-esque atmospherics in the softer moments, and the title track is a piano ballad with some Led Zeppelin overtones. It’s a really strange place for Halford. Sometimes it works (“What Child is This?”), sometimes not so much (“Winter Song”). Of the remaining two songs, “Oh Holy Night,” is the better. It takes the traditional melody of the song and lays some crunchy rock guitars beneath it. It reminds me of something that Trans-Siberian Orchestra might do with the song. The album ends with a rendition of “O Come All Ye Faithful” which is way over-the-top and melodramatic, but at the same time very much in line with the traditional version. I’m a collector of off-the-wall Christmas records, and I’ve got some pretty gnarly ones, but this one might be the strangest pairing of music and musician there. (Well, there is the death metal version of “Silent Night” by members of Testament and Anthrax, but that’s in its own league of weirdness.) Still, Halford does a surprisingly good job with it. I certainly don’t think this record is destined for the Bing Crosby treatment, with families listening to it by the fireplace on Christmas eve, but beyond the squealing opening track, it’s a respectable effort. Review: Slayer, "World Painted Blood"
I remember reading an interview with Kerry King a while back where he was asked what he thought about producer Rick Rubin choosing to work with Metallica on “Death Magnetic” rather than working with Slayer again. King’s reply was something to the effect that Rubin enjoyed working with bands who were trying to reinvent themselves, and Slayer had no desire to reinvent themselves. On the one hand, that’s admirable. On the other, maybe it’s time for Slayer to at least consider a few tweaks. “World Painted Blood” is not a bad Slayer album. 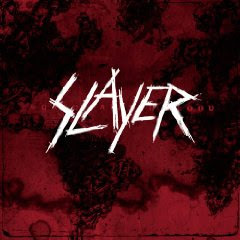 In fact, it might be some of their best work since “Divine Intervention.” Unfortunately, it’s gotten to the point where you’re kind of thinking “Slayer’s released their album again.” I quite enjoyed it for the first week it was in my CD player. After the second week, I’d had enough, and a few months from now when I want to hear some Slayer, I’ll be much more likely to grab “Reign in Blood,” “South of Heaven” or “Seasons in the Abyss” than this one. There are certainly some songs here that most fans will agree on. The title track, “Psychopathy Red,” “Unit 731” are all a bit reminiscent of the band’s earlier work with catchy melodies and enough aggression to satisfy, but at the same time, they just can’t recapture the raw energy of the early records that they recall. A song like “Public Display of Dismemberment” tries to attain the speed and chaos of some of the band’s earliest work, but it comes off here as more of a faux chaos. There’s just not enough viciousness here, and it sounds a bit too premeditated. Perhaps its because they’re older, perhaps it’s because I’m older or perhaps it’s a combination, but these songs just don’t light that fire in me. By contrast, the more interesting tunes here are the ones that many fans will probably dislike. On “The Human Strain” Tom Araya abandons his usual monotone vocal melody for an almost rap-like cadence that brings something different to the record. “Americon,” while certainly the most commercial piece here, is bouncy and quite catchy, though sure to send a certain segment of fans into a rage. The song, though, that’s most likely to polarize fans is the droning “Playing With Dolls.” It’s perhaps the softest song in the Slayer catalog, but interesting simply because it’s something they haven’t done before. Don’t get me wrong. I’m not saying these songs are great, but at least they bring something new to the mix. I do admire King and Co.’s unbending desire to stay true to the Slayer brand and their unwillingness to compromise. It’s a trait that I’ve wished more bands in the past had. That said, though, I think it may be time to shake things up just a little. I think there are ways to put a little more variety in the music without going commercial. Otherwise, they risk becoming something of a nostalgia act with new records becoming just an excuse to tour their old stuff again rather than living, breathing blasts of new energy in the set. 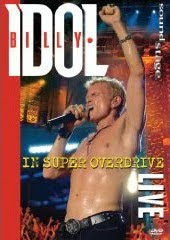 Review: Billy Idol, "In Super Overdrive Live"
For me, Billy Idol is one of those strange artists. I grew up listening to him, and I like most of his work, but for whatever reason, I never became a real fan. I usually crank up the radio when one of his songs comes on, but I've only got two of his records in my collection. Maybe it's time to fix that problem. One thing's for sure: He's never been satisfied to stay in one place. 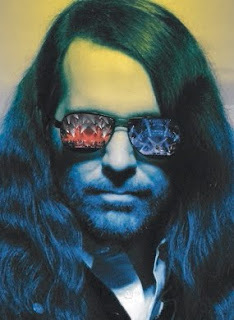 From the punk-inflected sounds of Generation X to his more commercial pop-rock of the 1980s to the underrated experimental record "Cyberpunk" to his energetic "comeback record" of a few years ago, "The Devil's Playground," he's covered a lot of ground, and his latest DVD "In Super Overdrive Live" also covers most of it. This far into his career, it's hard to believe this is Billy Idol's first-ever live DVD. Recorded for the TV series "Soundstage," the performance finds him backed by a solid band. Long-time partner in crime Steve Stevens, of course, provides the guitar work. Brian Tichy, a veteran of Pride and Glory and Ozzy Osbourne's band, among others, handles the drumming duties. Derek Sherinian, who has played with Dream Theater, Yngwie Malmsteen and Alice Cooper, covers the keys, and Stephen McGrath handles bass duties. If you grew up in the 1980s, as I did, it's hard not to be a fan of Idol's breakout record, "Rebel Yell." It's well represented here with "Flesh for Fantasy," "Eyes Without a Face," "Blue Highway" and, of course, the title track. After opening with "Super Overdrive" from "The Devil's Playground," the DVD slows down a bit with a poppy renditionsof "Dancing With Myself" and a version of "Flesh for Fantasy" that seems, to me, to lack some of the oomph of the original. But things quickly pick up with the first of two unreleased tracks, "Touch My Love." It's a funky, high-energy tune that gets things headed in a harder-rocking direction. "White Wedding," always a hit, cranks up the volume with a rock-solid performance of one of Idol's best-known tunes. He follows up with an equally hard-rocking version of the more recent "Scream," one of the highlights of "The Devil's Playground." The set slows down a bit after that. Idol delivers a smooth, cool version of his hit "Eyes Without a Face," followed by a second unreleased song, "Cry," which doesn't have the impact of "Touch My Love." That sets up a grand finale that features a few surprises. Idol kicks it off with the new-wave rocker "Blue Highway" from "Rebel Yell" before launching into Gen X's "Ready Steady Go." The expected closer, "Rebel Yell," actually comes a song early to make way for a show-stealing performance of Gen X's "Kiss Me Deadly." Even though it's been more than 30 years since Billy Idol burst on to the music scene, he's in fine form here -- hair still spiked, lip still curled in that perpetual snarl and fist still pumping. The band, too, is on the top of its game, and it's nice to see Idol and Stevens hitting on all cylinders again. The DVD does ignore Idol's most commercial period in the late 1980s (no "Mony, Mony" or "Cradle of Love") and "Cyberpunk" (not a fan favorite, despite my own affection for it), but it covers most every other period of his career. While it's not likely as energetic or unpredictable a performance as we might have gotten circa 1984, it's still well worth watching for Idol fans or any child of the 1980s that still loves to crank up the stereo and sing along every time "Rebel Yell" comes on the radio. Get "In Super Overdrive Live." One of the blessings of the season for Trans-Siberian Orchestra founder Paul O’Neill may be the fact that he doesn’t have to answer questions about when the group’s new album, "Night Castle," is coming out. The double album, which has been promised for at least five years, hit shelves on Oct. 27 and has already gone gold. "When (Guns ‘n’ Roses’ long-awaited album) ‘Chinese Democracy’ came out, we kind of lost our cover," O’Neill joked. "Luckily our fans have been very patient, and the album’s selling better than we could have ever imagined." 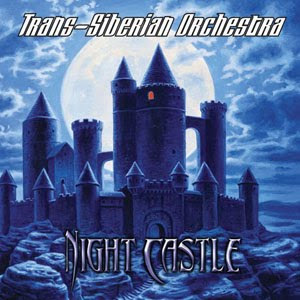 "Night Castle" was originally intended to be a stand-alone 10-song record with no theme, but TSO co-founder and Savatage frontman Jon Oliva convinced O’Neill that it had to be more. "Jon told me that TSO is not like any other band, and fans expect a story," O’Neill said. "It’s a little bit of role reversal because when we were working on Savatage, I was always the one wanting to do a concept record. The first half of the record is the ‘Night Castle’ story, and the second half pays homage to our past and looks forward to the future." Savatage fans will find a couple of treats here as a reworking of "Prelude to Madness," the band’s take on Grieg’s "In the Hall of the Mountain King," shows up as "The Mountain," and the second disc features a cover of "Believe" from the "Streets" album. The latter is a preview of a Broadway musical called "Gutter Ballet" (also the name of the second record O’Neill did with Savatage) that O’Neill and Oliva hope to get to the stage in the next two years. It’s the culmination of a work that O’Neill began in the 1970s. Many of the songs have already had rock versions recorded by Savatage, but will return to their roots for the Broadway show. "We want to take it back to the original blues, gospel, Motown sound," he said. "For Savatage, you’ve got to metal it up. Jon and I are kind of psyched to be doing it because Broadway is something we’ve always wanted to take on." The second disc also includes a cover of Emerson, Lake and Palmer’s "Nutrocker" that features Greg Lake on bass. It’s a song that obviously had a profound influence on O’Neill and TSO, who are known for blending rock and classical for Christmas. "That song brings it full circle," he said. "It’s us paying tribute to Emerson, Lake and Palmer, paying tribute to Tchaikovsky." The new album also means a new experience for the Christmas tour that fans have come to view as a tradition over the past few years. The first half of the concert will be the expected Christmas show, while the second set will focus more heavily on material from "Night Castle." Not to worry, though, the band will still follow its motto: "Fog it, light it, blow it up." "We spend more on pyro in two months than most of the rock world does in an entire year," O’Neill said with a laugh. "Our first duty is to the fans, to give them the best show for their dollar. We realize that entertainment is not a necessity of life, but human beings need moments of joy, or at least moments that are stress free. When you’re not worrying about what’s outside the arena, the body gets to recharge its batteries. The underlying story is about hope." When O’Neill started TSO, he never expected it to become a Christmas staple. His idea was to do a Christmas trilogy, six rock operas and a couple of regular albums. With the release of "Christmas Eve and Other Stories" and the holiday hit "Christmas Eve Sarajevo" (also originally recorded by Savatage) in 1996, the band did what O’Neill describes as "lucking into a Tchaikovsky," a reference to the composer’s "Nutcracker" ballet which became a Christmas classic. "‘The Nutcracker’ was just another ballet, and it never dawned on him that it would become so intertwined with the holidays," O’Neill said. "When we wrote the Christmas trilogy, we hoped it would be successful, but we never dreamed it would become as big as it did. The fans wanted to see it every year, and we didn’t want to let them down." Now, it’s a sold-out holiday tour with two companies that keeps growing and keeps O’Neill going non-stop from October through January. There’s still plenty to keep O’Neill occupied after the holidays, too. There are currently plans for a spring tour to focus on the band’s two non-Christmas albums, "Beethoven’s Last Night" and "Night Castle." Work continues on the Broadway show. There are some Savatage projects in the offering, including a best-of compilation, a re-release of the band’s last record "Poets and Madmen" on Atlantic, and possibly a new album. And then, there are, of course, those future Trans-Siberian Orchestra records. O’Neill’s not ready to make any predictions on those yet, though. "Whatever I say, I know it’s going to be later," he joked. "I’m just glad I’m in rock ‘n’ roll and not in charge of getting ammunition to some war front in World War I." Read my review of "Night Castle." Review: Trans-Siberian Orchestra, "Night Castle"
For the past five years, I've talked with either Trans-Siberian Orchestra founder Paul O'Neill or guitarist Al Pitrelli. Every year the story has been the same: "Night Castle" will be here in the spring or soon after. This year, I didn't have to ask the question. It finally arrived -- as a double album, no less -- and I can safely say that, while I don't want the next record to take quite as long, it was worth the wait. As with all things TSO and Paul O'Neill, "Night Castle," through the first 21 songs, follows a fairly elaborate story line. I'll leave the finer details to the listener to discover, since that's part of the magic of a TSO record, but the story involves a seven-year-old girl who meets a strange man building a magical sandcastle on a beach and a U.S. Army lieutenant about to be deployed on a Special Forces mission to Cambodia who drunkenly stumbles into a magical castle of his own. The story visits a variety of times and places before it reaches its ultimate conclusion. The music here is also as varied as you'd expect from a TSO record. There are some heavy operatic pieces, some of the band's patented blending of rock and classical pieces, and some straight up hard rockers. After two heavy classical pieces, the band throws a straight up hard rocker at us with "Sparks," which O'Neill tells me was originally from his Broadway show "Gutter Ballet," which hopefully will hit stages in the next couple of years. The show also provided some familiar Savatage tunes from the record of the same name and the "Streets" rock opera. Savatage fans also have another treat coming with "The Mountain," which fans will recognize as a slightly altered version of "Prelude to Madness," the band's take on Grieg's "In the Hall of the Mountain King" from the "Hall of the Mountain King" record. There are some minor changes here and there, but it's pretty much note for note. The title track brings the first appearance from another rock vocal icon, Jeff Scott Soto. It's an intense number that's very much in the vein of Savatage. 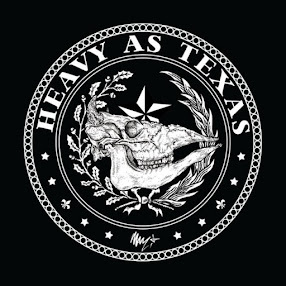 Soto also turns in a stellar performance on the record's most metallic number, "Another Way You Can Die," which is a personal favorite of mine. He shows off his more operatic range on the moving "Time Floats On" on the second disc, as well. To be honest, this record gives me a new appreciation for Soto, and, luckily, he's on our leg of the tour. "Tocatta - Carpimus Noctem" brings another top-notch blending of classical and rock, as the band takes on Bach. Mozart's in there, too, with "Mozart and Memories." Beethoven and Chopin get their turn at the TSO treatment to start the second disc with the frantic, mysterious and powerful "Moonlight and Madness." While all of the band's work is top notch, they truly shine on these instrumental blends, and the ones on "Night Castle" are no different. The story portion of the record ends on a reflective note with the acoustic instrumental piece "Embers." The record closes with five pieces that pay tribute to some of O'Neill's influences, tip the hat to the past and look to the future. Most recognizable to TSO fans will be the band's dark take on Carl Orff's "Carmina Burana," which has been a fiery fixture in the live show for several years now. It loses a little power in the translation to record, but is still a solid performance. Another treat for Savatage fans comes in the cover of one of my favorite 'Tage tunes, "Believe" from the "Streets" record. This version is a little closer to the planned Broadway version of the song with soulful vocals from Tim Hockenberry (who also sings on "Sparks"). As much as I like this version, to be honest the Jon Oliva version will always be the version for me, though. One of the group's more obvious influence comes to play on the cover of Emerson, Lake and Palmer's "Nutrocker." The rocked out take on Tchaikovsky's "Nutcracker" was obviously the prototype for much of what O'Neill and TSO have done, and it features a guest appearance by Greg Lake. There's another Delibes piece with "Child of the Night," which would fit well with the "Night Castle" story. The record ends with a look forward on the rocking instrumental "Tracers," written by O'Neill, Pitrelli and Pitrelli's wife, Jane Mangini. It's perhaps the most straightforward piece on the record, but that doesn't make it any less solid.